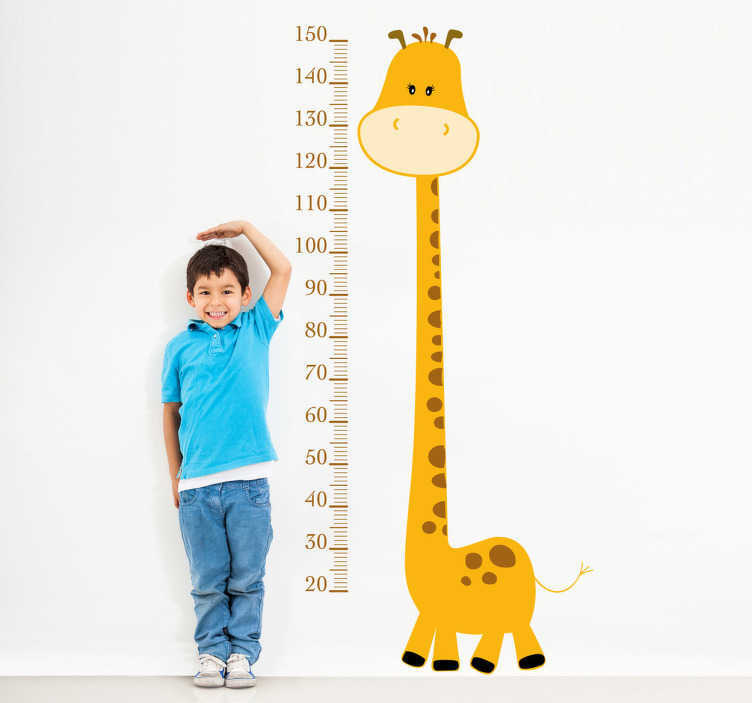 A yellow giraffe height chart wall sticker ideal for measuring your child's height! A creative and unique design by VIRGUIS. If you love giraffes and are also looking for a height chart to measure your child's height then you have the perfect combination in one giraffe decal, ideal for decorating a child's room or nursery! You can now keep record of your kid's height since they all grow so fast we don't even realise! This yellow giraffe height chart design is super easy to apply and leaves no residue upon removal. *This sticker is to be placed 10 cm above ground.